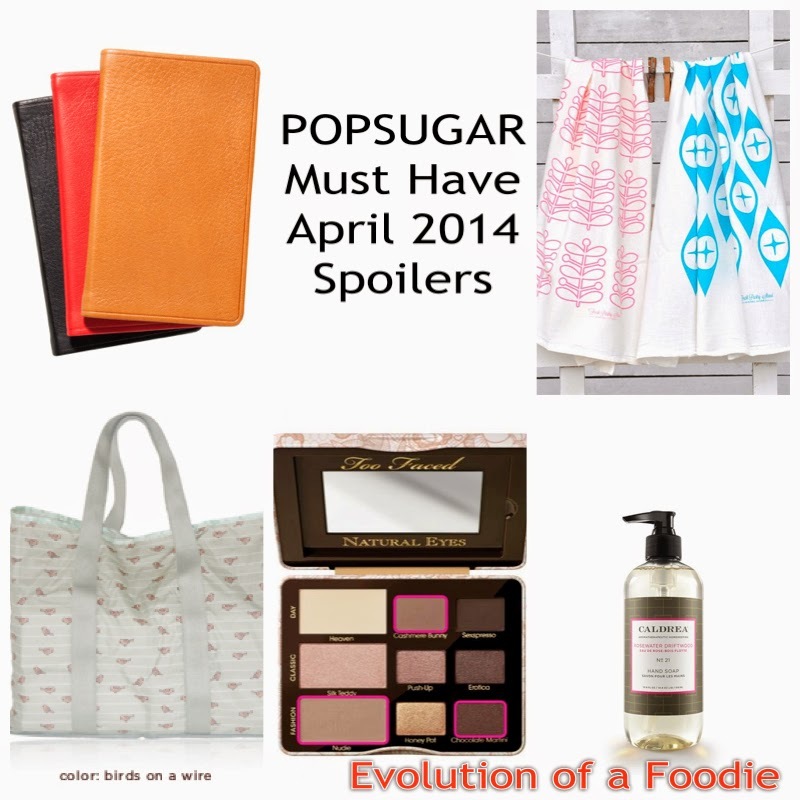 Evolution of a Foodie: POPSUGAR Must Have April 2014 Spoilers and Discount Code! 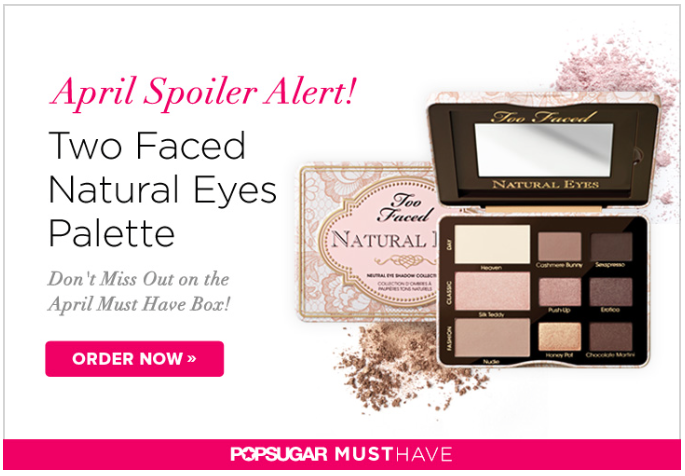 POPSUGAR Must Have April 2014 Spoilers and Discount Code! POPSUGAR Must Have April spoilers are here already! I caved, and got one. 50% off coupon below! EDIT*: Here are all the spoilers we have so far for April. Colors, sizes, and products may vary, but here's what I found from a spoiler on MUT. Looks like there is still no spoiler on the food item, so I'm sure there will be that in there as well. All values are estimates based on potential spoilers. Colors or sizes may vary. If you still have not signed up for the regular POPSUGAR Must Have box you can do so here. Their regular box is $39 a month, and includes food, lifestyle items, makeup, and fashion. Use code CHANNEL7 to get 50% off this month's box! Quick! Expires 4/4. Code already expired. REFER5 will get you $5 off. What do you think, of the POPSUGAR Must Have April spoilers?